I am always looking for great ways to incorporate more math into our school day. And, since math is not the most exciting subject to teach, at times, I like to use games to help teach it. We have quite a few hands on games we use, as well as games on the computer. The kids and I have had a chance to try out a new (to us) math program by 3P Learning on the computer called Mathletics. I’ve told the kids, and I believe this to be true, math is the most important subject. Math is used every day in so many ways. I use math when I cook. When I am planning a road trip, I use math to determine how many miles I will go, how long it will take to get there and how much I will spend on gas. I use math when shopping to figure out how much I will be saving when things are certain percentage off (This is my personal favorite way to use math!). With so many uses for math on a daily basis, it’s important kids understand it. I don’t want a program that will just make them memorize facts. This will not help them in the future. They need to know why the answer is what it is so that when presented with a different problem, they will be able to figure it out on their own to come up with the answer. Okay, so the first thing I want to say about this program is that we started reviewing it in the summer. This did not stop my kids from saying, “Mom, can I do math right now?”. That’s a win in my book! The program is for Kindergarten through 12th grade. My youngest 2 used this, and they are going into 1st and 5th grades this school year. The Mathletics program has diagnostic tools to make sure your child is doing the work they should be doing. This means that if my 5th grader is doing 3rd grade work in relation to multiplication and 6th grade work in addition and subtraction, his assignments within Mathletics can reflect that. You can let your child have free reign to decide what he/she will do within the program OR you can assign certain things for him/her to do before he/she can move on to something else. That is a really great aspect, because at first I just let them have free reign so they could get to know the site. I’m glad I did that, BUT I quickly learned they always wanted to do the same things every day. Don’t get me wrong, they are still learning, but I wanted them to advance a bit quicker. So, then I started assigning certain things first. They didn’t mind and I felt better about what they were accomplishing. 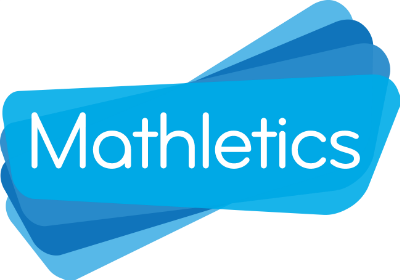 I highly recommend you go to the Mathletics site and check it out, because there is so much to know about the program that I couldn’t possibly tell you all of it. That being said, here are a few things I want to tell you about… I love that there are diagnostic tools that will assess where my kids are before they start the program. I love that it does all the grading for me and gives me a detailed report of where my kids’ strengths and weaknesses are. I love that there are printable workbooks I can give my kids so they aren’t staring at a computer screen all the time. And, I love that it sends me a report to my email telling me what my kids did each week so I can see how they are progressing. Another really great thing about the program that my son (5th grade) loved was the “Live Mathletics” area where he could compete in real-time against people from around the world that are also using Mathletics. It’s a safe environment, parents, don’t worry… there’s no chatting… Just good old fashioned competition! Your child can compete, like I said, against other kids (like in the screenshot above) or they can choose to compete against the computer. Either way, he is also competing against himself to try to beat his own high score! How much is it? The pricing depends on how many students you enroll… 1 – $99, 2 – $179, 3 – $249 and so on. These prices are per year. They are currently running a sale, though… one student is only $59! You can also try it out for free for 10 days before you take the plunge a buy it. Dofollow comment luv comin' at ya!